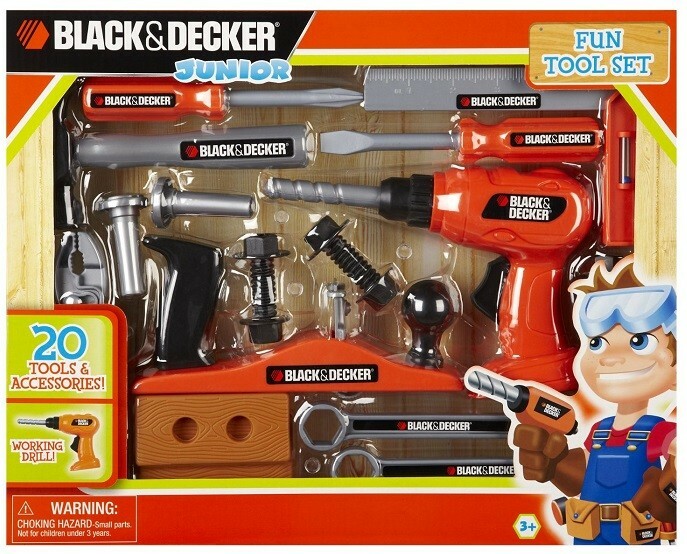 This fantastic plastic tool set includes 25 Black & Decker must-haves, including a kid-powered drill, so children can learn tool names and functions. 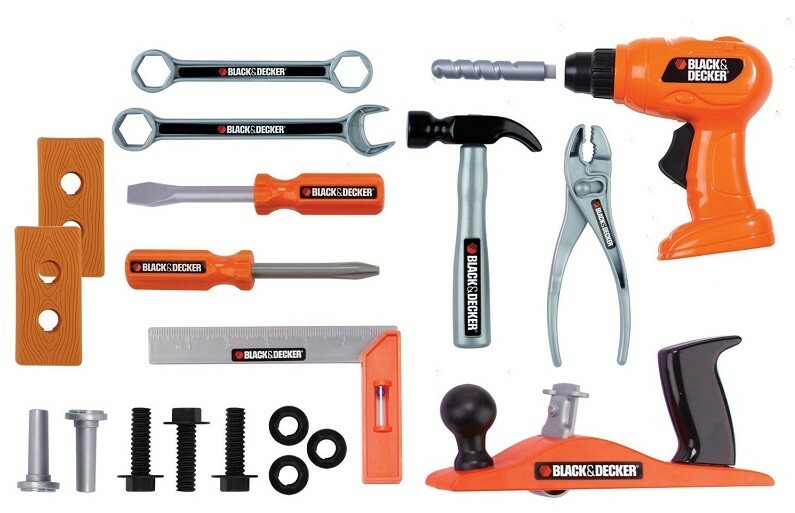 It's perfect for the would-be Ms. Fix-It! 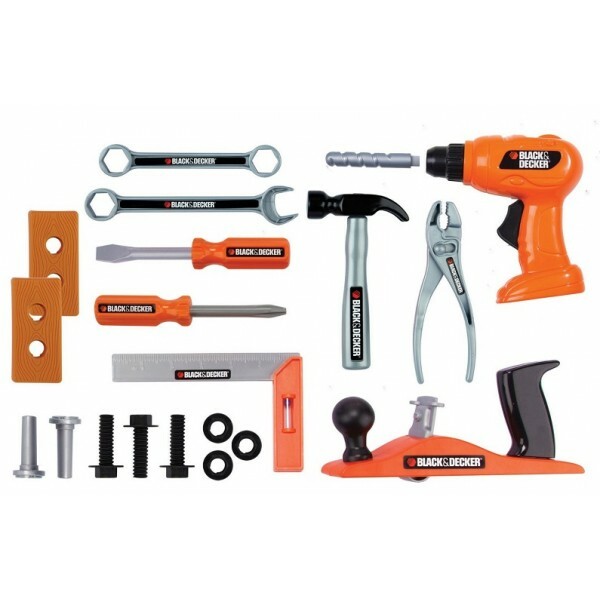 This set includes replica tools like saws, wrenches, hammers, screwdrivers, clamps, and more.